Some days I don't get to wear the outfits I put together, but I still create them and save them for when I will be able to! 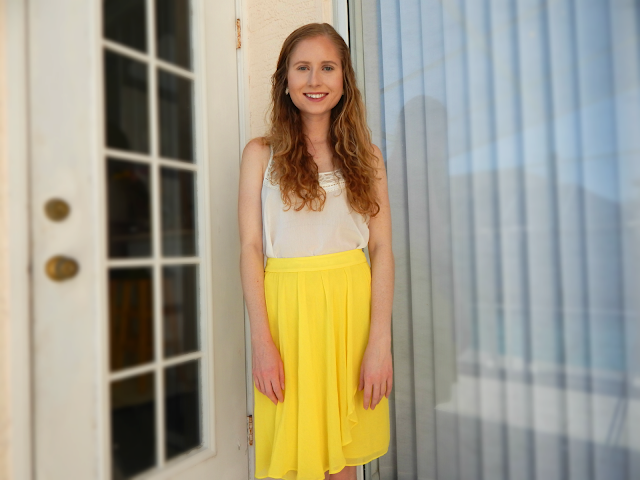 This look is extremely bright and cheerful for Spring--a neon yellow H&M skirt I bought for only $7 paired with a simple white lace Target tank top. The skirt makes me appear taller because it is a midi skirt length, which I love. 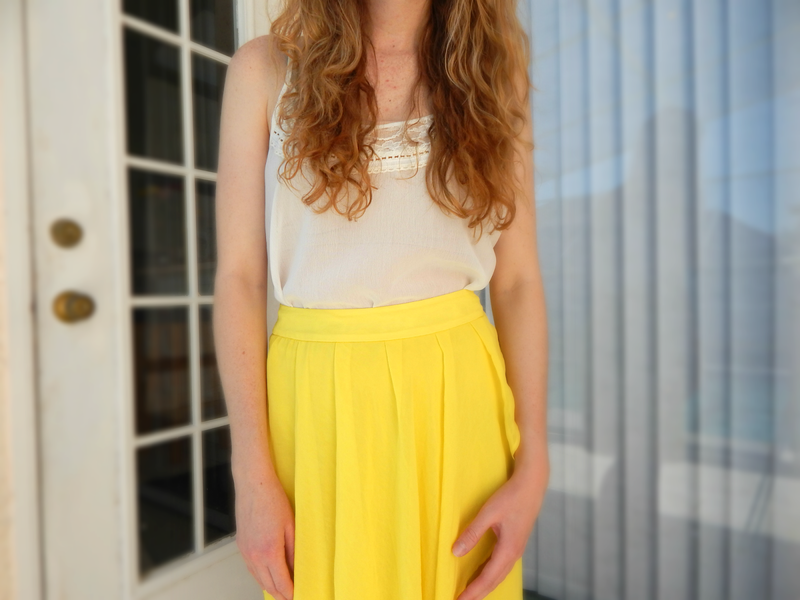 Normally I stray away from yellows because I don't think I look good in the color, but this skirt changed my opinion. The panels and asymmetrical shape are flattering, too. I would wear this shopping and eating dinner with friends! I added some great affordable options in the widget below, so check them out!